Sundays are the days that involve doing mostly nothing, except some household, going out for a walk with our dog and eating lunch and usually exploring and trying a new restaurant. Also, Sundays are the days where I pamper myself and use my fancy products that make me feel nice. 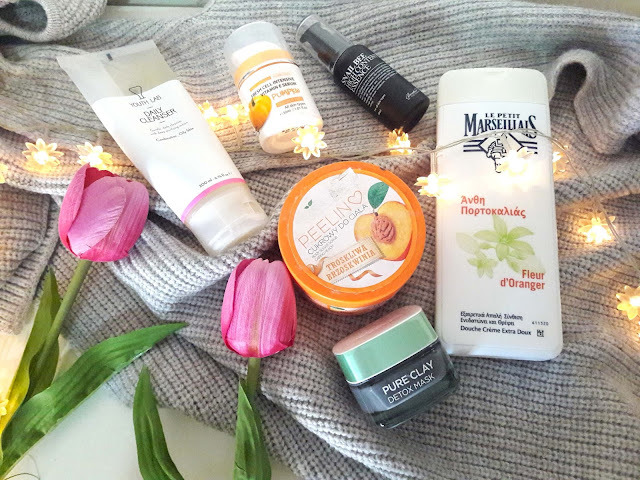 My bathroom is full of products (and when I say full, I really mean it) that I use on special days such as body scrubs and hair masks and oils and candles and bubble bath, I love to spoil myself. The best way to start a relaxing Sunday is to light a few candles. I haven't bought any fall scents yet and I have been using two Ikea candles in vanilla and orange. I usually light them together and these two scents are a lovely combo. 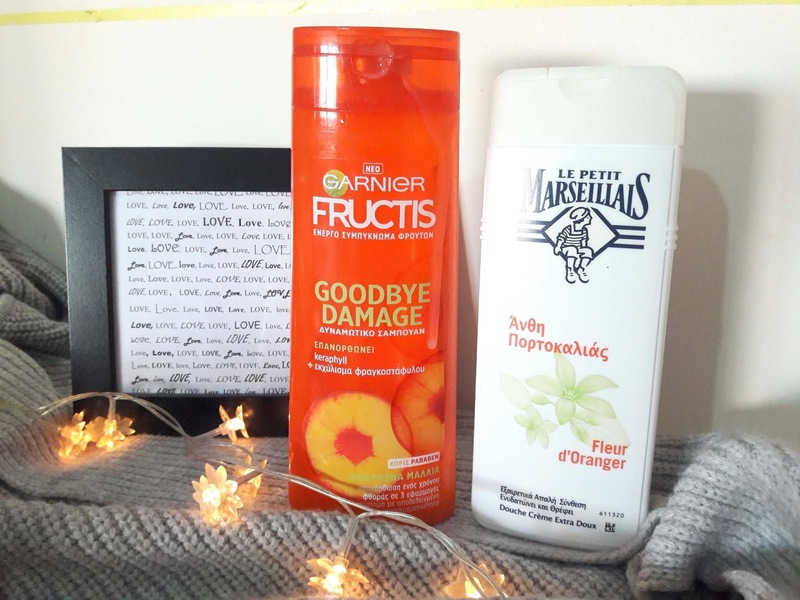 I start with washing my hair and I am currently using the Garnier Goodbye Damage shampoo. It's a great shampoo and I feel my hair really clean after I rinse but I sometimes feel it a little stiff so I need to move to the next step and use a conditioner or a hair mask. 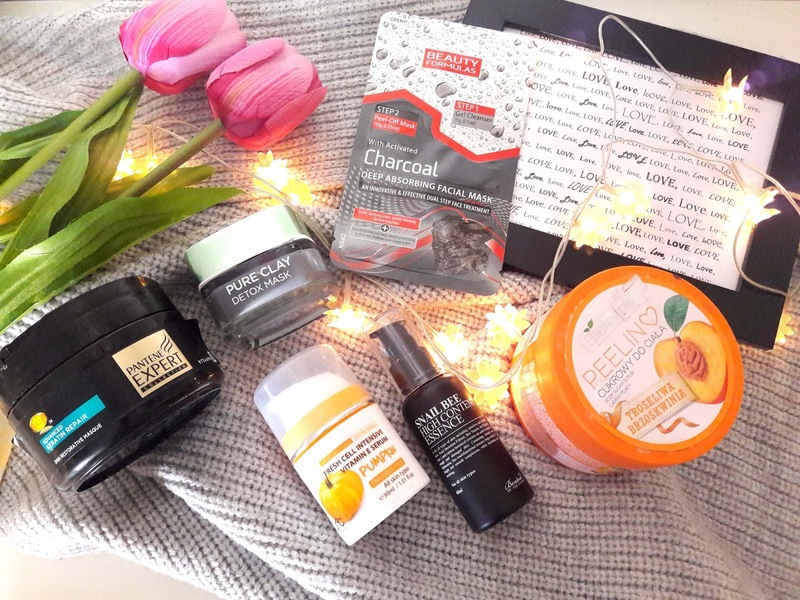 The Pantene Pro V is an amazing mask, I am really impressed with how my hair feels when I use it twice a week, it hydrates and leaves my hair soft and has long lasting effects, my hair is soft until the next wash. 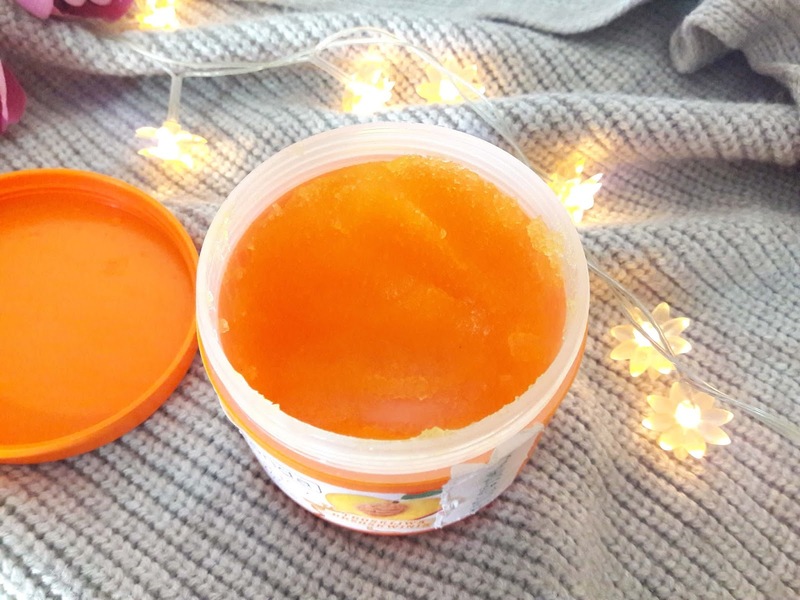 While the hair mask is on, I use the Bielenda Peach Body Sugar scrub that smells a-m-a-z-i-n-g, this beautiful peachy scent stays on for hours and the grains in the scrub are larger than usual and you can feel it working. I also use this amazing shower gel from Le Petit Marseillais, omg, this is the best scent I tried from this brand, if you haven't tried these yet, I totally recommend that you do. These days, I use the Daily Cleanser from YouthLab Cosmetics to cleanse my face, ideal for combination to oily skin. It is gentle to use on the eyes too but extremely effective. I also love to use my homemade face scrub using honey and sugar (you can find the recipe here) on my face and I leave it for a couple of minutes to absorb the goodness of raw honey. 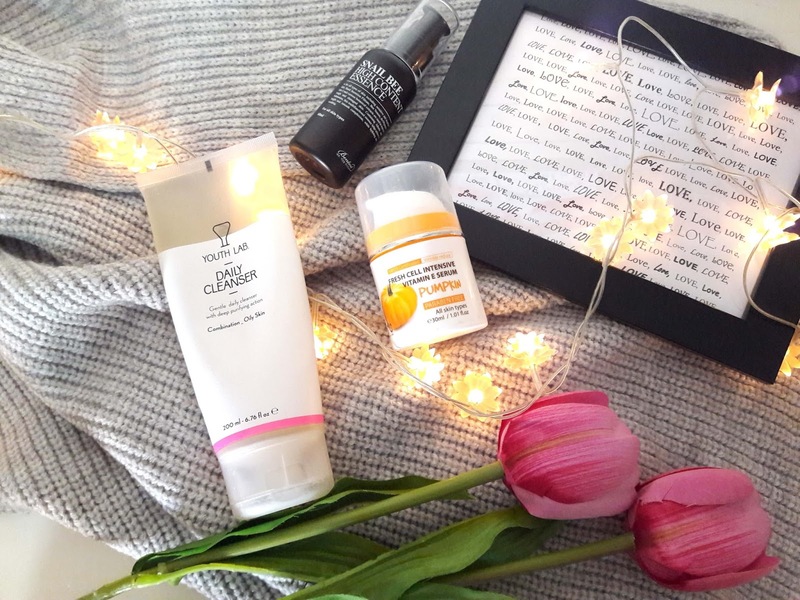 A face mask, lots of serums and a sleeping mask; these are my skincare essentials for Sunday. 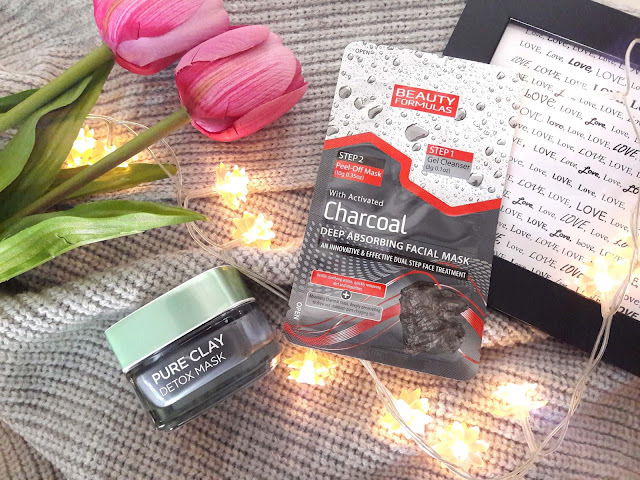 The Loreal Pure Clay Detox mask is a great mask for oily skin and I have been also enjoying the Beauty Formulas Charcoal facial mask. Both masks deep cleanse my skin and they remove impurities and deep cleanse my pores. Two serums I have been using after the detox mask is the Rainbow Beauty SOC Fresh Cell Intensive Vitamin E Serum that is a creamy serum that fully moisturises my skin and when I don't feel like layering my serums, this is more than enough. Also, the Benton Snail Bee High Content Essence is great for replenishing moisture to the skin, especially after a long hot bath where our skin can feel dry and it has powerful ingredients to help heal scars, brighten skin tone and I normally use this one before layering my serums. 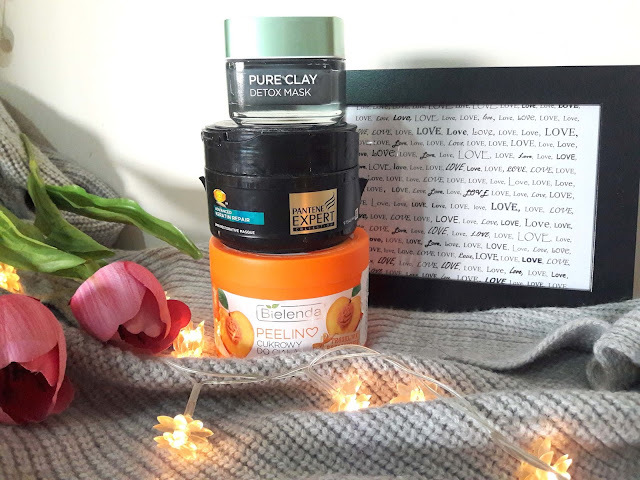 So these are the products I use on Sundays when I have some 'me' time, relax and enjoy a lovely evening. Do you use any of these products? What helps you relax on a Sunday? PS. There is a giveaway on my instagram account open for Europe, click here to enter!